Toddler Approved! 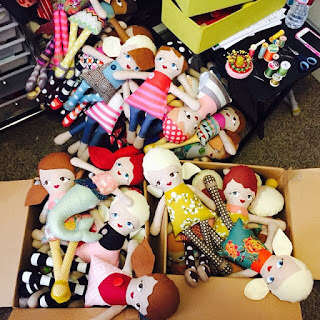 : Small Business Saturday Spotlight! If you follow me on Instagram then you know that my big kids are at Cousin's Camp this week. This means that I have just been playing with my 2-year-old and going on adventures with my niece and twin sister all week long! We've had a blast! One of our adventures this week was to hit up Craft Lake City, a cool DIY festival for crafty people in Salt Lake City, Utah. I am visiting Utah right now and LOVED getting to go to the festival. I brought my toddler along and had super low expectations that we'd really do much other than bounce in the bounce house and eat a shaved ice... since getting toddlers to look at craft booths is kinda like pulling teeth. We surprisingly managed to hit several craft booths and I LOVED several of the shops so thought I'd share some of them with you today as part of our Small Business Sharing Saturday!! You can read more about Small Business Sharing Saturday on Toddler Approved HERE. The basics are that we invite kid product-centered small business owners to share about their shops on our Facebook page on Saturdays. We will sometimes spotlight them on the blog too! Here are a few of my favorites from Craft Lake City. Click on the names of the shops to head over and check them out in more detail. 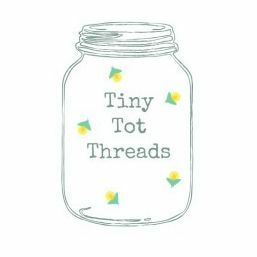 Tiny Tot Threads- adorable dresses and other clothing items for little ones! I am always looking for high quality dresses for my daughter and these are awesome! Green Stitches- such darling handmade dolls!! The Felt Shop- felt games and quiet books and other cool activities for kids! We got my toddler a cute felt busy book. He played with it while we wandered around the craft festival. 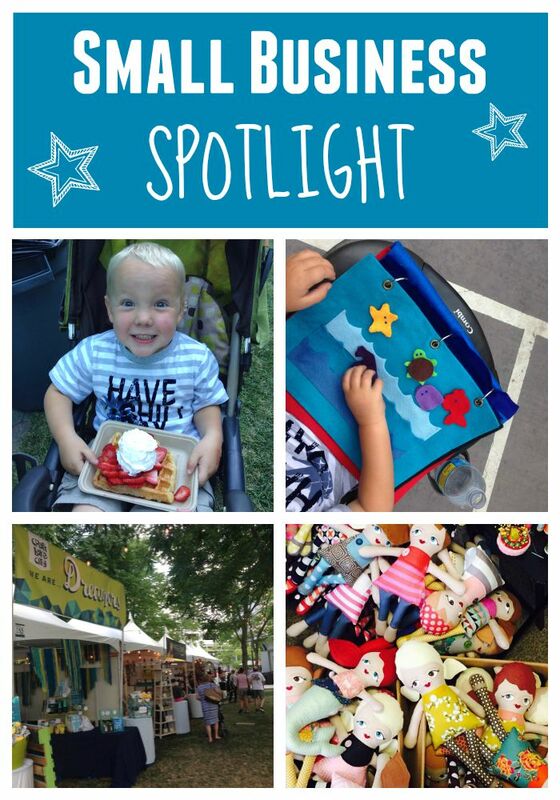 PS- Another small business that we love is Waffle Love. In this photo my son is eating a waffle from their food truck and it was AMAZING. Love that place. It isn't solely kid-focused, but my kids sure adore it and so do I! Do you have a kid-product focused small business? Come tell us about it in the comments or over on our Toddler Approved Facebook page! We love sharing awesome kid products with our Toddler Approved audience.